Saturday was to be a day all to myself, working in the garden, with any number of jobs waiting to be done. I had a list in my head of some of the usual spring jobs... spreading alfalfa meal around the roses, snipping berries off of the nandina (too red for a spring garden! ), finishing spreading mulch, weeding out privet babies, black widow check on pot storage shelves. Then there were other thoughts flitting through... including "when are you ever going to put those bricks in along the front path?" I had a nice stash of bricks given to me by a friend who took out a patio. So without much planning I started digging along the edge of the path and settling in bricks. Crawling around on the ground I was grateful that I had remembered to change into my garden clogs. These are technically my old everyday Danskos...beat up, worn down, muddy... they work well for me as gardening shoes. They have a great sole for shoveling, protecting my feet from strain and it doesn't matter if they get wet since they rinse right off. I keep them by the back door and step out of my new everyday Danskos and into these on my way out then switch again on the way in. And dragging the toes on the ground when crawling doesn't change the way they look...they're already ragged. After crawling around for a couple of hours I had the entire path edged, beginning with the section in the photo and continuing around the curve to meet with the main front garden path. In the process I moved a few cranesbills, ferns and cyclamen that had wandered into the path proper and discovered just how dry the soil was...if the rain that was threatening never materialized I was going to need to water those transplants well. I spent several more hours doing the above mentioned spring chores and ended just as the rain arrived. Perfect! However, Sunday morning I had to face the fact that the rain had done very little...it hadn't even washed the chalk drawings (left by day care artists) completely off the back concrete. So I went out to water and do a few other jobs...in and out, changing shoes as needed. I'm not sure when I lost track...when I was watering? When I went out to pick spinach for dinner? All I know is at 7:00 Sunday night, having just processed into church with the other Eucharistic ministers, I sat down in the pew as Mass began, looked down at my feet and realized that my new everyday Danskos were sitting by my back door. 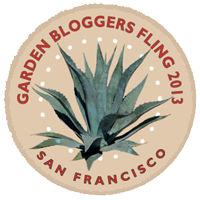 Oh well...my friend Carol says it just means I'm a gardening geek. I guess that isn't too bad. Ahahahaha! That is great. The path looks wonderful Leslie! The path was well worth the mix-up. Great job. Our most comfortable shows are those we wear in the garden. 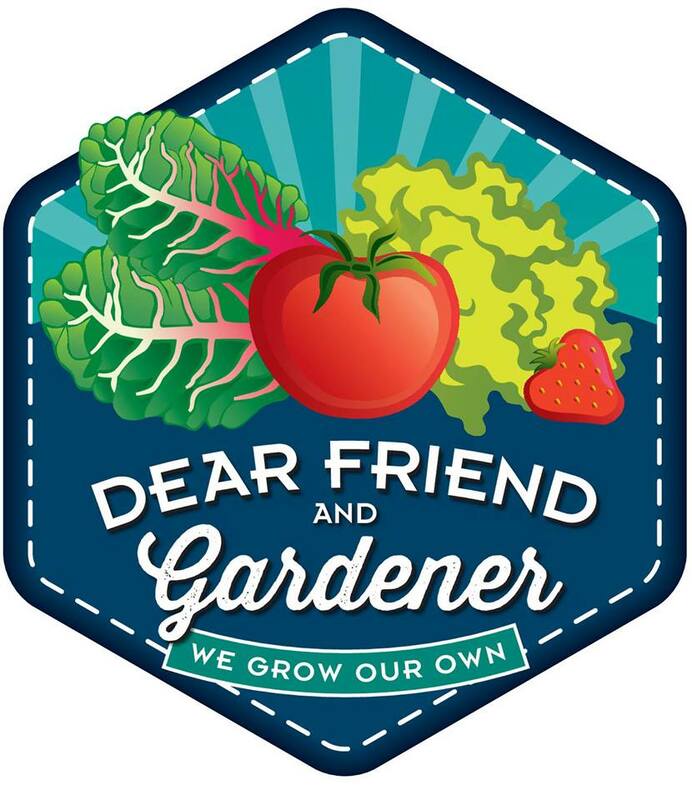 Welcome, fellow gardening geek, we knew all along that you were one of us. The path looks great! I'm still chuckling. It looks like you had a very productive weekend in the garden. What a big day in the garden...and so much accomplished. The shoes are a minor issue. Everyone in church will want to be in your garden. I bet St. Fiacre was smiling--in a good way. The Lord doesn't mind what kind of shoes you wear...but I'm sure He approves of a job well and lovingly done. That's a good one! At least they look like regular shoes, just very beat up. It's hard to get the head out of the garden when you've been in the zone. So much I don't know about gardening. Have never heard of alfalfa meal, nandina, black widow check on pot storage shevles, Danskos. Very interesting post, as usual. Thanks Katie! It had plastic strip edging for years. Now I need to redo the stepping stones. Gardeness...thank you and thanks for stopping by! Carol...I'm honored to be in such esteemed company. I did get a lot done Cindy! It's good to feel productive. well, MA, I wonder if anyone wondered about them or if the real gardeners among them knew what I'd done! Nancy, I had that thought...at least the part about the shoes, when I noticed my mistake! MMD...they were my 'real' shoes until just a few months ago. But the last few months of gardening have taken their toll! Donna...I use the alfalfa meal as rose fertilizer. Nandina is a filler plant I have a lot of. I like it but hate when people elsewhere think it needs to be shaped...then it just looks stupid. We live in black widow heaven so I check storage areas a few times a year for anyone who might have moved in. And I wear gloves and always check out suspicious (as in very strong) webs carefully! The path looks wonderful, very natural. I love those dansko clogs! I'll have to get a pair. What a beautiful garden path! Even from the photo I can feel the pull, and it draws me in. Your clogs look so comfortable! I may have to check them out. I usually do the opposite - something in the garden grabs my attention and I'm pulled in before I remember to change my shoes. Or I've gone to work in a clients' garden in street shoes. I've done it so often now I keep a spare pair of shoes in the trunk of my car just in case. EAL....there are several styles of Danskos and I've got a few but these are my every day ones for winter. I think they are really comfy! Garden Girl...I am the same way and have to force myself to stop and change shoes which is why I keep them right by the door. I used to work for a couple hours and notice I still had my bike shoes on...I ruined those eventually!